THOMAS JEFFERSON had an intense appreciation for architecture. 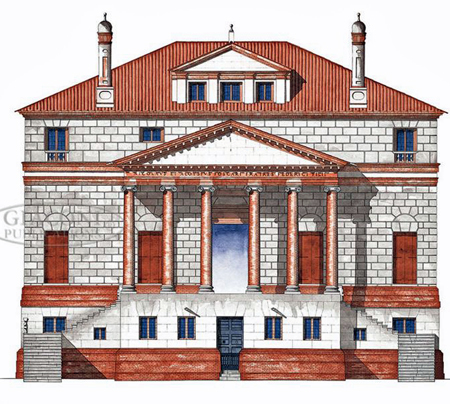 In fact, if it were not for Jefferson’s admiration for the 16th century architect ANDREA PALLADIO, the structural design of southern plantations might not exist as we know them. 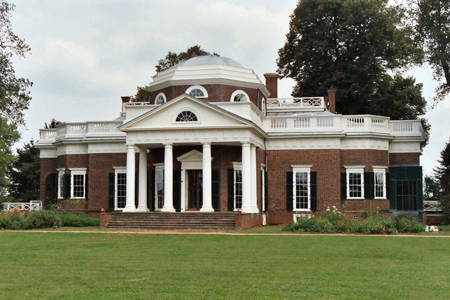 Jefferson studied Palladio and incorporated many of Palladio’s trademark design elements into his home MONTICELLO and the University of Virginia. 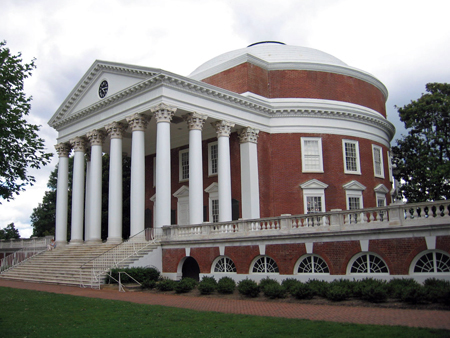 Jefferson referred to the UNIVERSITY OF VIRGINIA grounds as an “academical village” and used Palladio-inspired architecture for the ROTUNDA SOUTH PORTICO. 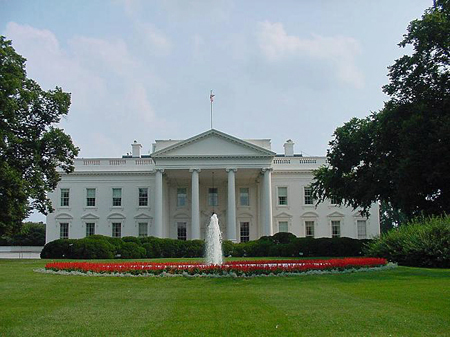 Palladio’s use of classical elements like thermal windows, temple fronts, centralized floor plans and his love of nature are also seen in the design of our nation’s presidential residence THE WHITE HOUSE. 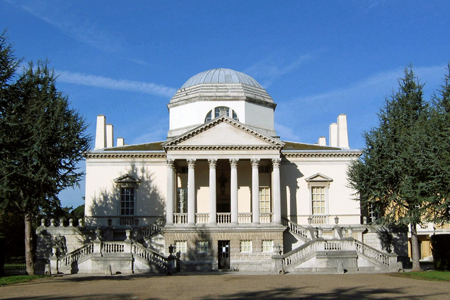 Palladio’s influence was adapted for famous homes throughout the world including CHISWICK HOUSE in London. 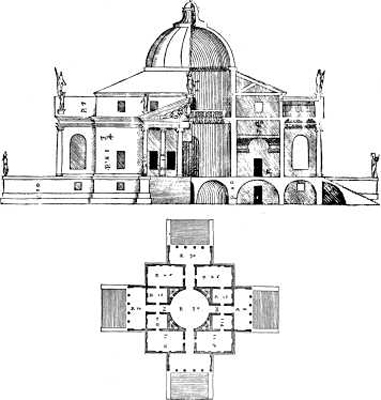 It features Palladio’s trademark temple porch in front of a domed interior with central salon. 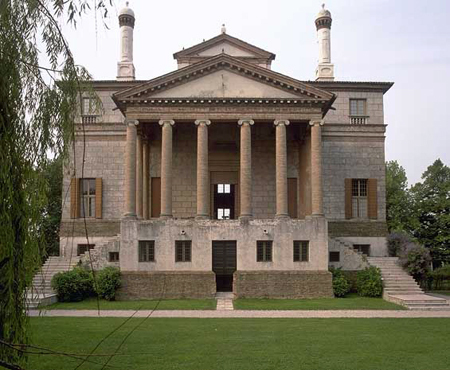 In Venice, you can visit Palladio masterpieces like VILLA FOSCARI. This rendering shows the initial design with the completed residence below. Also known as LA MALCONTENTA it was the spacious summer home for Venetian royalty. In those days, the summer home was used to escape the heat and congestion of Italy’s major cities and featured enfilades where doors were aligned so that one could stand in the entrance and see all the way to the back of the villa. Another of Palladio’s famous projects was VILLA CAPRA whose renderings above mirror the completed residence as it stands today. Villa Capra was based on the geometric forms–the circle and the square. 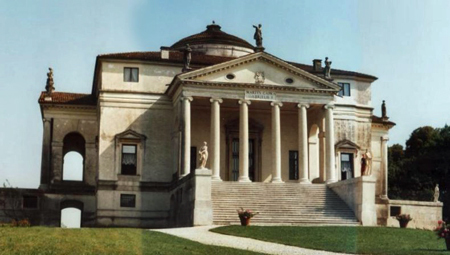 Villa Capra, or LA ROTUNDA, was completed in 1550 and is the most famous of Palladio’s villas. 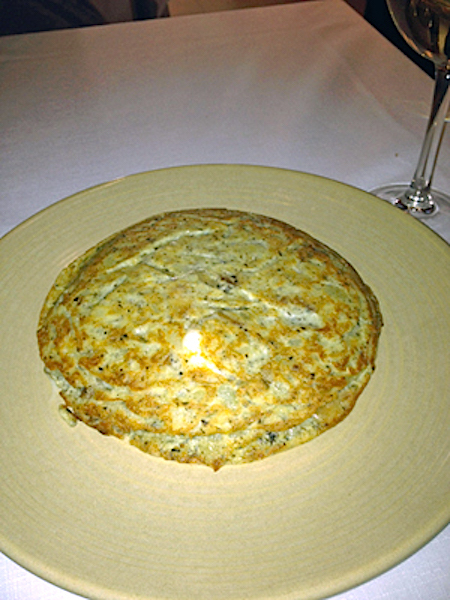 It sits on a beautiful crest and was greatly influenced by the Pantheon in Rome.